I made some updates to my short story “The Lady Next Door” which is available for purchase as an ebook on Amazon. The cost is 99 cents. You can buy it here. You do not need to own a Kindle to read it. You can also read it by using the Kindle app for smartphones and tablets (ANDROID, iPHONE / iPAD). If you enjoy the story, consider sharing the link with your friends and family. They were just ordinary rocks found in a driveway to most people, but not to the lady next door. They were the most beautiful rocks you would ever see. Mrs. Hartness was indeed my neighbor and I am indeed the little boy in the story. “The Lady Next Door” was originally written in 2003, and came to me as I was writing When the Lights Go Out at 10:16 (formerly The Court: Jeremiah’s Story). All this time later, it’s still one of my favorite stories because it’s a snapshot into a great love I had at a young age—a child’s love. One of warmth and innocence. My children are now beginning to display this type of love, and in return receiving this type of love, from one of our neighbors named Rosemary. Even though I placed “The Lady Next Door” in the Fiction: Short Stories section on Amazon, it’s not actually fiction. Unfortunately, there is no Memoir: Short Story or Nonfiction: Short Story section on Amazon. There’s not a big enough market for it. I chose not to place it under the broad category of Memoir because I didn’t want anyone to buy it thinking it was a full length memoir when it’s only a 15-page short story. This was long overdue. The previous image was only meant as a placeholder and was such for far too long. While the saying “don’t judge a book by its cover” may be a great saying, the reality is, people do judge a book by its cover. I am very happy with the new look. There was some punctuation that bothered me and a few words changed. Nothing that changed the storyline. Again, nothing major, and nothing anyone, other than me, likely cares about. I just cleaned it up a bit. Important: To retain your bookmarks, notes, highlights, and latest reading location, make sure your device or app has “Annotation Back Up” or the “Whispersync” setting turned on. If you are buying this short story for the first time, disregard this message. You will receive the new look and updates upon delivery. With that said, none of the changes I mention above alter the storyline. The biggest change, outside of the cover and punctuation, was replacing a reference to “Zip-loc bags” with “plastic sandwich bags.” I kid you not. That’s the biggest alteration I made. The beginning is still the same. The middle is the same. The ending is the same. If your book did not update and you can’t live without the updated version, the best I can do is send you a PDF. The PDF won’t replace the Kindle version, but it’ll have the new cover and new content if you so desire to have that. 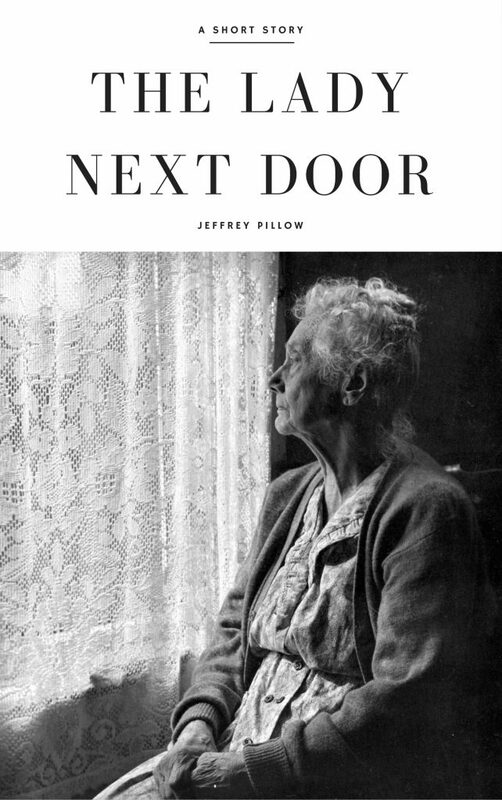 Contact me using this form and start your comment with “Request: The Lady Next Door.” If you did not previously buy the story, please do not contact me to request the PDF. Lastly, while I would still write even if I had no readers, if you find value in this blog or in my stories, contemplations, or reflections, send your friends or family members the link. Most of what I write is less about what I write, and more about what it may trigger in you, in your own memory. Perhaps, you, too, once had a lady next door. Subscribe to receive notifications of new posts by email. No spam, ever!